WUWM's Angelina Mosher Salazar sees if she could get Brewers tickets for Friday's game against the Los Angeles Dodgers at Miller Park. 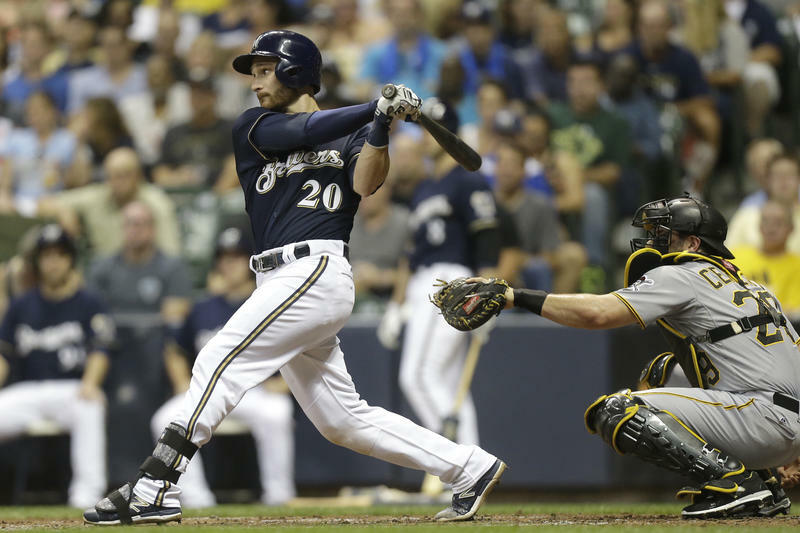 The Brewers are back in town Friday after sweeping the Colorado Rockies in the first round of the playoffs. 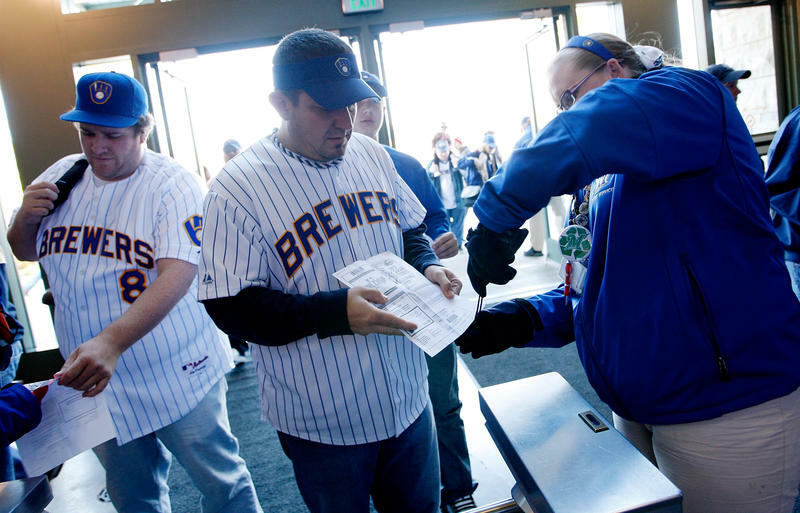 So, it’s no surprise that there's an increase in demand for Brewers tickets. But tickets aren’t so easy to get this late in the game — and for reasons you might not expect. 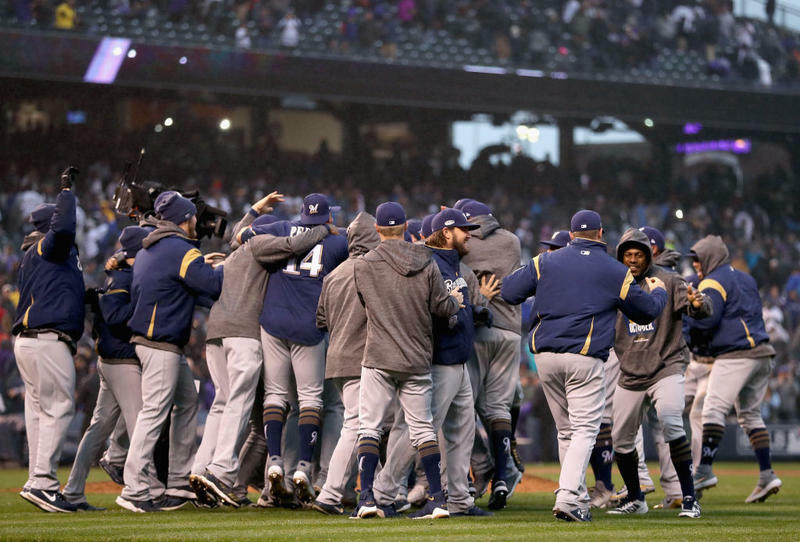 The Milwaukee Brewers were feeling the love Sunday as fans watched, and then celebrated, the team's victory over the Colorado Rockies. 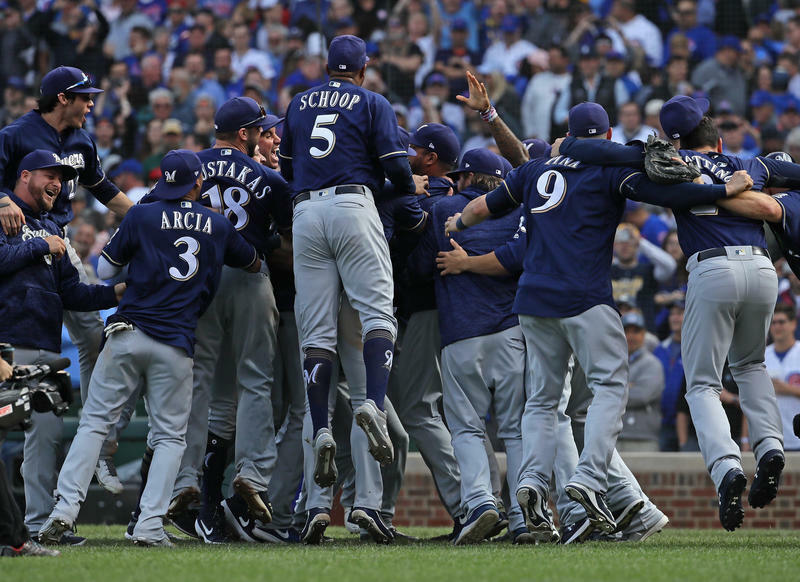 As the Brewers advance to the National League Championship Series, Milwaukee sports bars also have reason to celebrate. One of them is Buck Bradley’s Saloon and Eatery, a bar that shuttles Brewers fans to and from games. WUWM's Teran Powell stopped in to get an idea of how Brewer mania has impacted business. 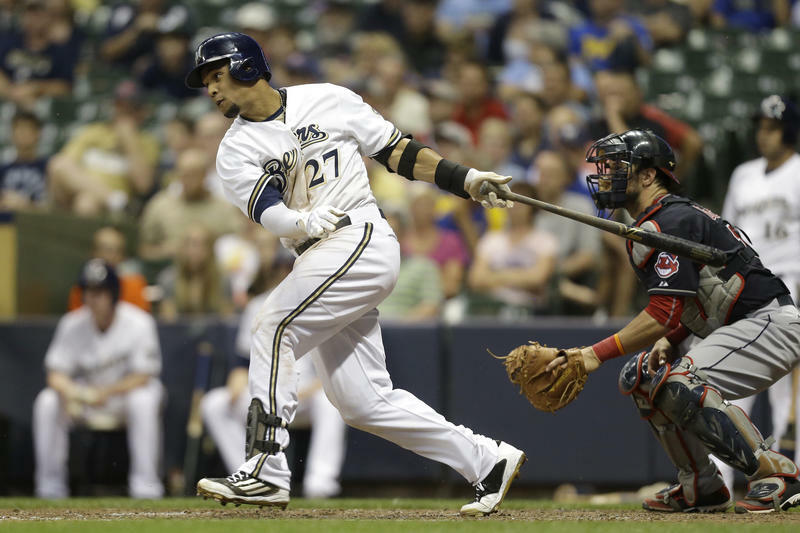 The Milwaukee Brewers won their first playoff game 3-2 on Thursday. 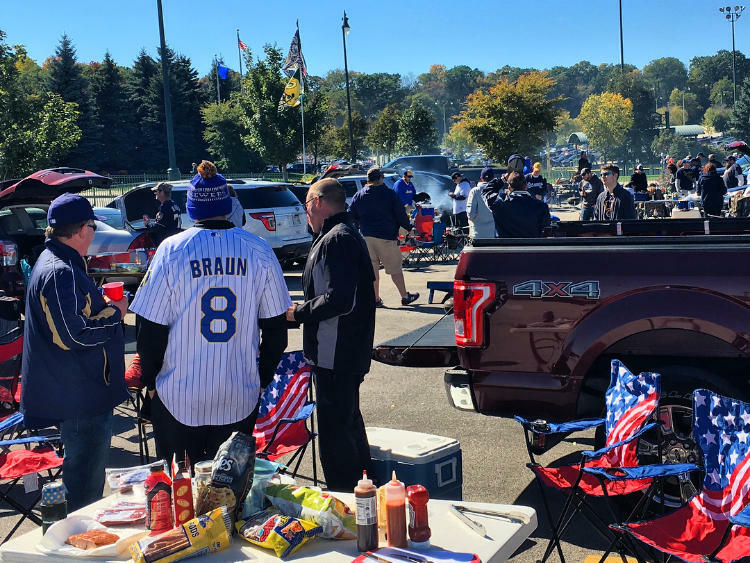 Diehard fans showed up to Miller Park hours before their game against the Colorado Rockies. Fans were busy playing music, grilling and tailgating. “Do you want to see my tattoo to show you I really love the Brewers?" said Donald Matovich, a tailgater who loves the Brewers so much that, yes, he has a tattoo to prove it. The last month or so of the baseball season has been about defying expectations. 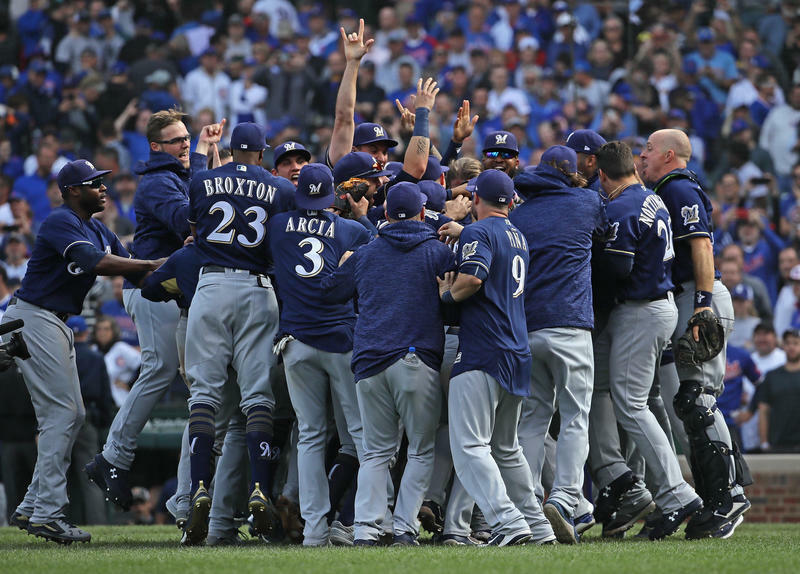 The Milwaukee Brewers seemed like they were well on their way to winning a wildcard berth in the playoffs. But then they went on an eight-game winning streak and won the division instead. And the Chicago Cubs, prohibitive favorites in their wild card game against the Colorado Rockies Tuesday night, lost 2-1 in 13 innings. So, the Rockies will be at Miller Park Thursday to open the playoffs. This is the Brewers' first playoff appearance since 2011. The Milwaukee Brewers are in the playoffs. The team last made it to the Major League Baseball playoffs in 2011. One thing that's changed since then is Milwaukee's increased use of analytics, or data analysis. Analytics, or sometimes called sabermetrics in baseball, has been around for decades. But it came to more prominence in the 2000s. In the 2011 movie "Moneyball," an economist played by Jonah Hill explains one of the concepts: "I believe there is a championship team that we could afford, because everyone else undervalues them. Like an island of misfit toys." 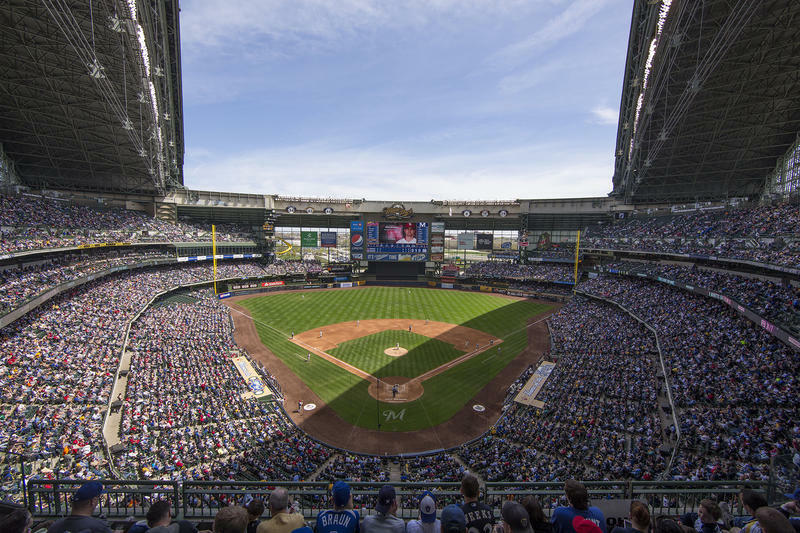 The Milwaukee Brewers' Miller Park has a roof hotline – 414-902-4636 – that tells callers the weather and if the roof is open or closed. That way fans know what to expect when they head to a ball game. 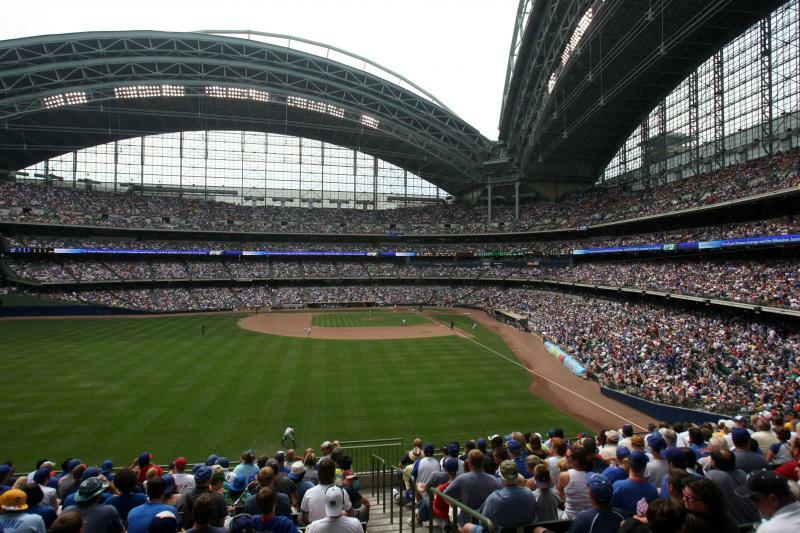 But how do the Brewers decide whether the Miller Park roof is open or closed at game time? That’s a question Bubbler Talk received from listener Lila Johnson. 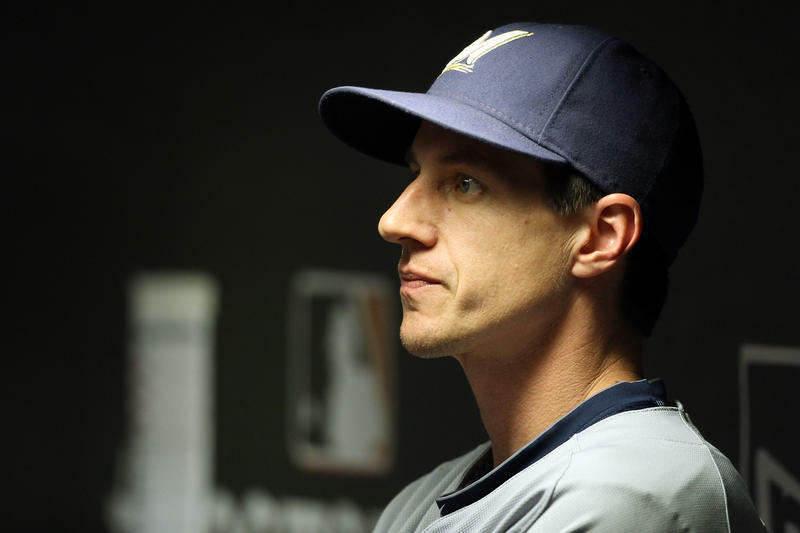 After 16 years in the major leagues and retiring after the 2011 season, Craig Counsell is back in a Milwaukee Brewers uniform. After the team’s worst start in club history, Counsell was hired in May to replace Ron Roenicke, who was fired 25 games into the 2015 season. Counsell sees things beginning to turn around this season. He cites the consistency of the bullpen as the greatest strength for the team at this point. With weaknesses exposed in offense and starting pitching, 2015 looks to be a rebuilding year. 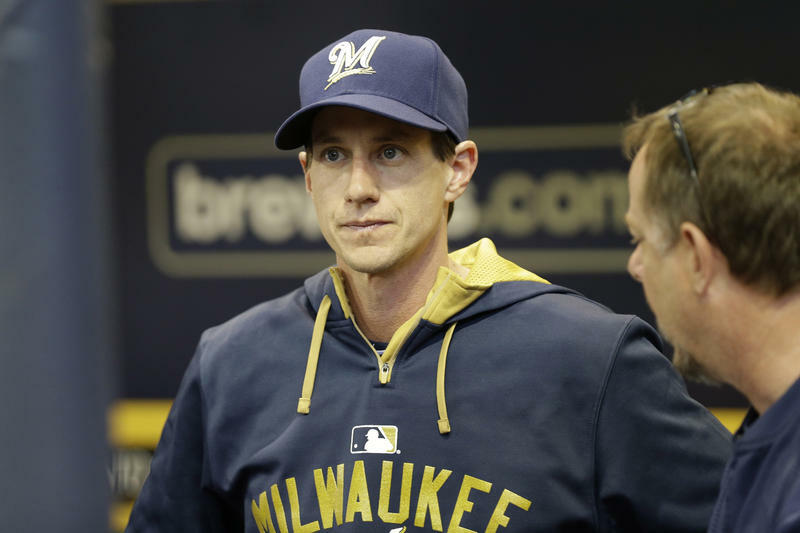 The Brewers have hired their former infielder Craig Counsell to succeed Ron Roenicke as manager. The team dismissed Roenicke on Sunday, following a dismal start to the season. Counsell grew up in the Milwaukee area and played the last five seasons of his 16-year baseball career with the Brewers. He retired in 2011. Since then, the 44-year-old has worked in the club's front office. Badger basketball fans have even more reason to celebrate. The University of Wisconsin's Frank Kaminsky is the Associated Press' player of the year. The 7-foot forward was a runaway favorite and is the first Wisconsin player to win the award. The baseball team has dismissed a couple coaches, but will retain Manager Ron Roenicke and the rest of the staff for next season. 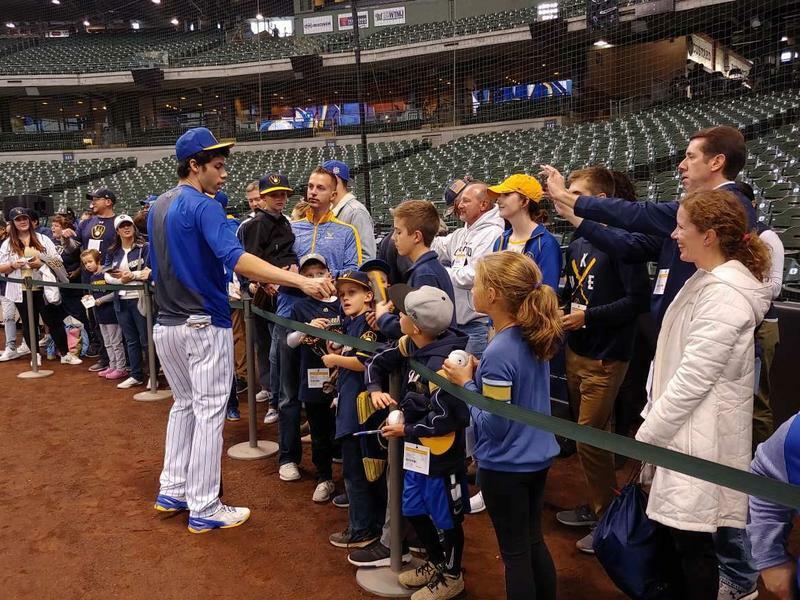 Fans crowd into Miller Park Monday for Opening Day and the return of Ryan Braun, suspended for half of last season for using banned substances.